Get five nights through the week and get $230 off the total. 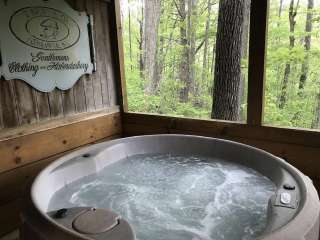 Enter the coupon code FIVE Come stay in a cool mountain cabin and take a soak in your own private hot tub. Reconnect with the one you love and have some fun!! We are only about 20 minutes from Downtown Asheville or the Biltmore. Just reserve at cabinofasheville.com or call 828-775-4025 (excludes holidays and October).